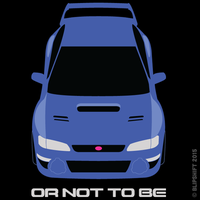 My 2005 WRX had no of note for ~9 years. I replaced the starter, but I think a valet ground it down a bit. That’s it. Old guys in exotic cars being slow at track days. Water is wet. Oh something positive has happened for McHonda? QUICK BETTER FIND A WAY TO CRITICIZE THEM ANYWAY. ... winning every track day for the foreseeable future. They’re traveling for free on a employee pass... There’s different standards when you get it free from the an employee (which then you do represent the company even if you don’t know it) rather than when you paid for your seat. If this thing lost the annoying LED lights on the front, got a proper GT3 spec spoiler, lost the atrocious “stance,” had beefier tires/smaller (non-chrome) wheels... it might have actually been something interesting. I’d check your state law. At least in Texas your allowed to run red lights if your on a motorcycle and there’s no other traffic, for that exact reason. $19,487 total, which includes the value of the car from Sept 2015 plus the cash payout. A local small filmmaker came out to the most recent Drag Racing event at Texas World Speedway. It’s an 1/8th Mile Arm-drop drags event that occurs once a month down the pit lane. His trailer is probably the best burnout video I’ve ever seen. Enjoy in Beautiful HD. Director Luke Huxham sent us his new short film, Heart vs. Head, and it’s maybe the most beautiful thing we’ve ever seen. The tribute video was made for Motorhead Magazine’s “Japan Tuned” issue and features an HKS R32 and R35, driven by NOB Taniguchi. We did Trans-Am cars last season, now it’s time for something a bit more modern. Introducing the Fourza Grand-Am Series! So now that the USA beat Germany, and it cleaning up FIFA, can we make the rest of the world call it soccer now?